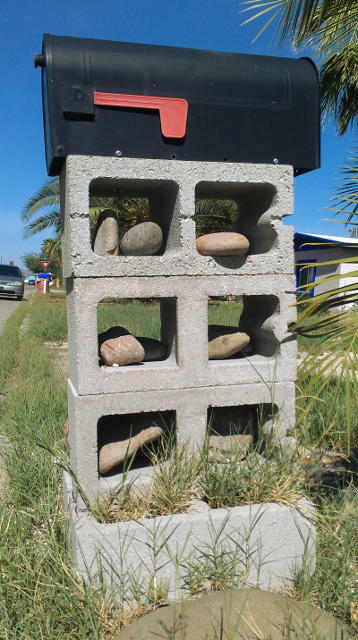 This week and next, we'll check on the progress of two under-construction mailboxes. This plain black one is mounted (or just set? :) on a stack of cinder blocks with rocks inside. It was August 13th when I saw it standing there.